So it was only a gerbil. But it was my daughter's gerbil she had saved for and bought with her own money. She even got to talk to the person who brought it in to be sold and found out his birthday. 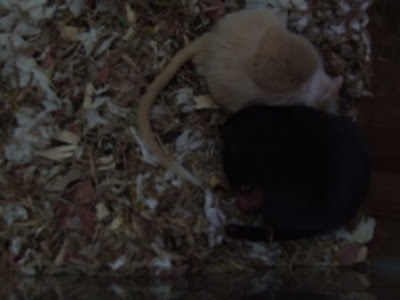 He was the father of our baby gerbils and died just one day after his litter was born. (He is the blond one). Happiness and excitement turned to grief as Buttercup had a stroke and died in my daughter's hands. I had gone to make a hot water bottle to help keep him warm, hoping that he might recover. Gerbils often do. But when I returned, I found my daughter sobbing and little Buttercup dead. She stroked him, cried and finally went out to bury him but wanted to do it alone. 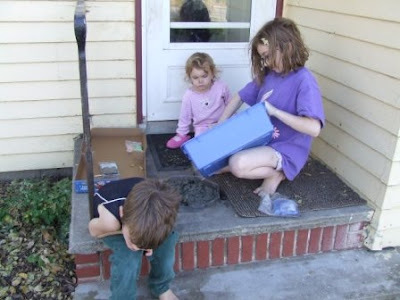 Then she asked if she could make a stepping stone like we did for Holden (our old puppy) when he died. And even though it cost three times as much as a gerbil, we bought it for her and she sat on the front step, working through her emotions and making a stepping stone in memory of Buttercup. She has fortunately been able to pick one of the babies as her next gerbil. An adorable little white one she named Sugar.